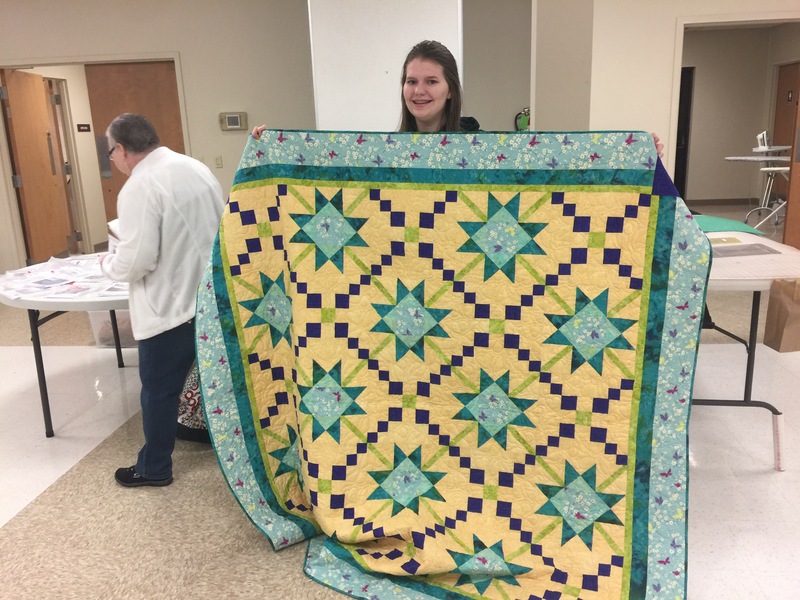 I’m a bit behind on posting our latest quilt from the lock in this year. 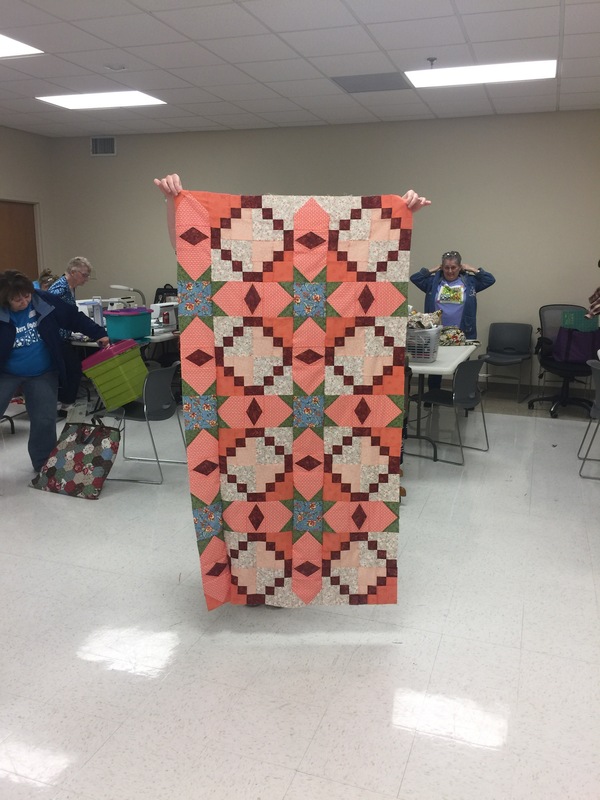 Everyone had a great time and we’ve been seeing lots of completed tops. 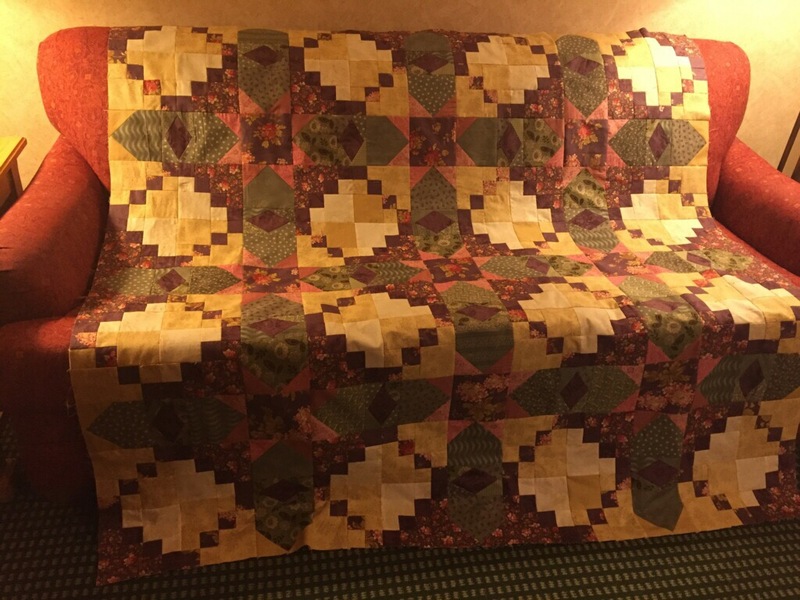 I made mine using Kaffe Fasset fabrics. 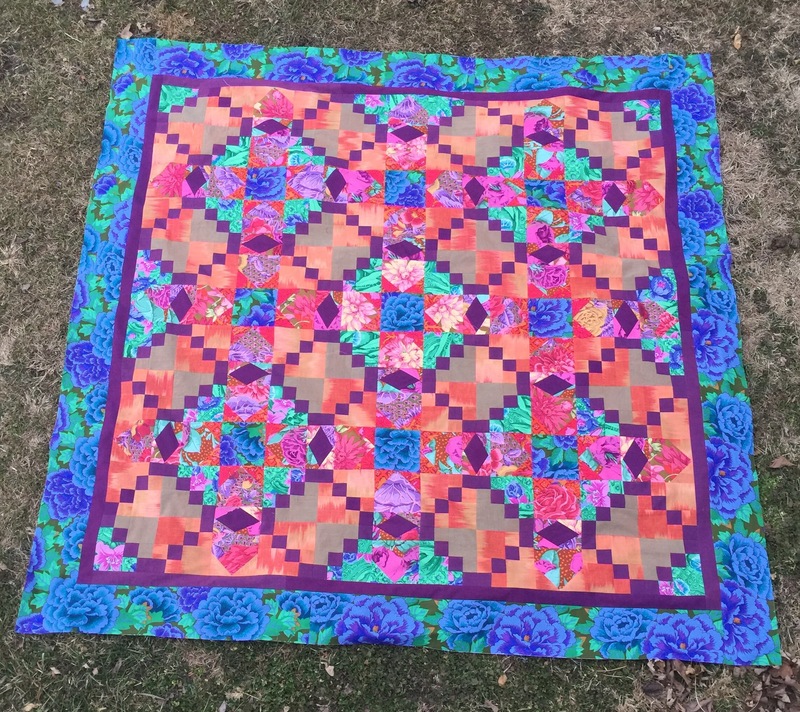 Bailey got quite a bit done on hers that day. 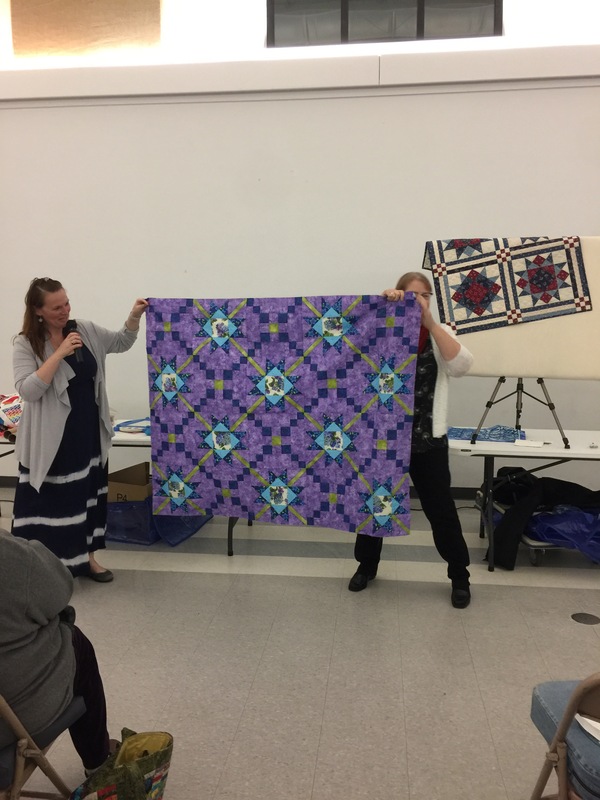 Kolleen showed her finished quilt at guild last month. 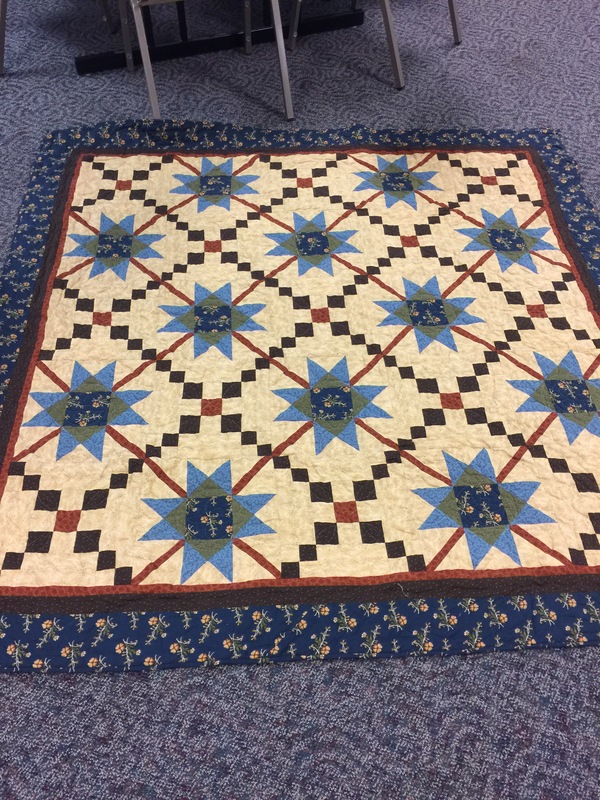 I finished quilting Doris’ quilt today. 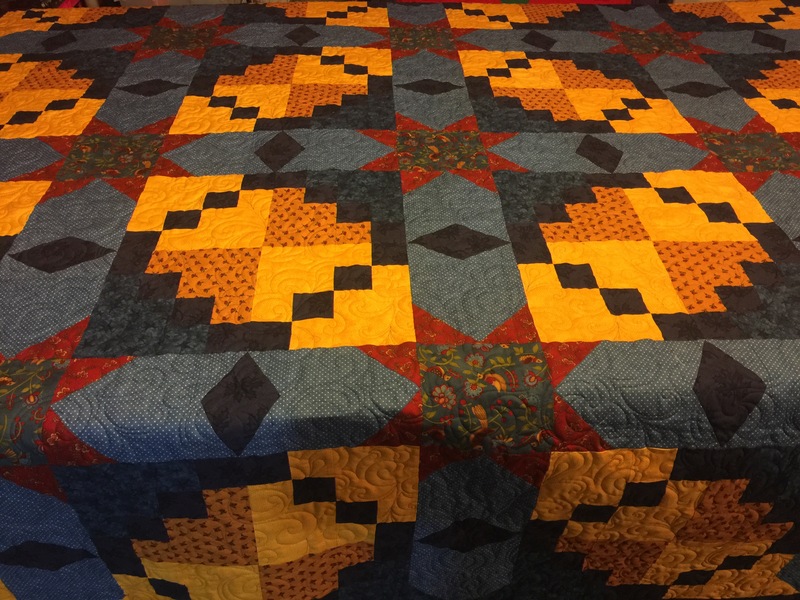 Pam sent me picture of hers. 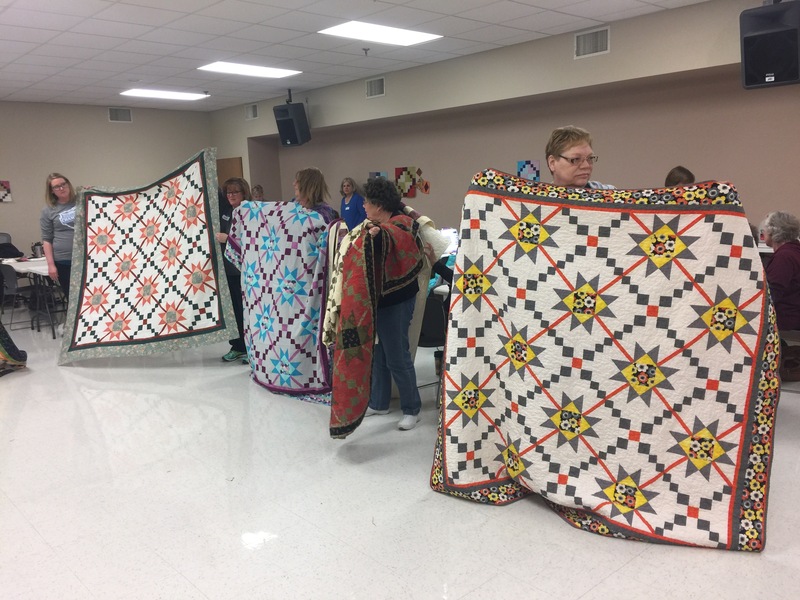 It’s always fun to see all the different fabrics that the ladies choose for their mystery quilts. 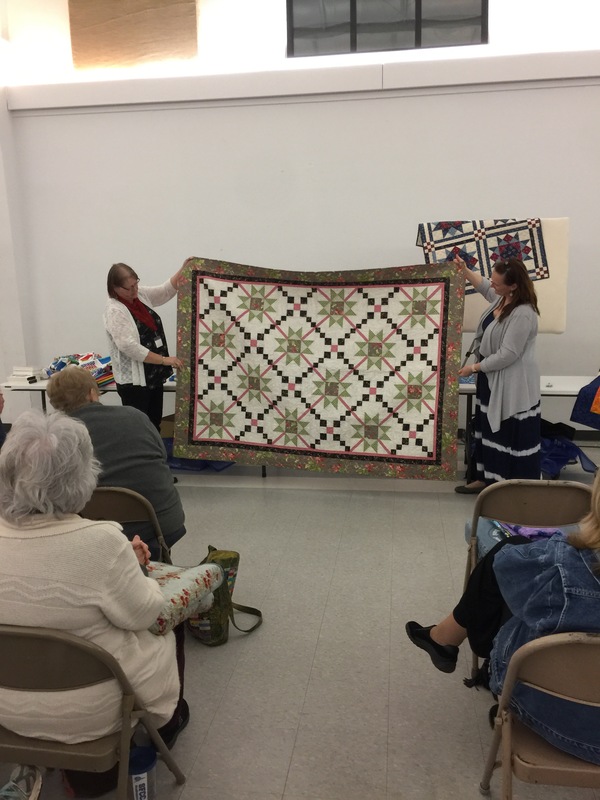 We had lots of show and tell from last years quilt, Knotty Times. 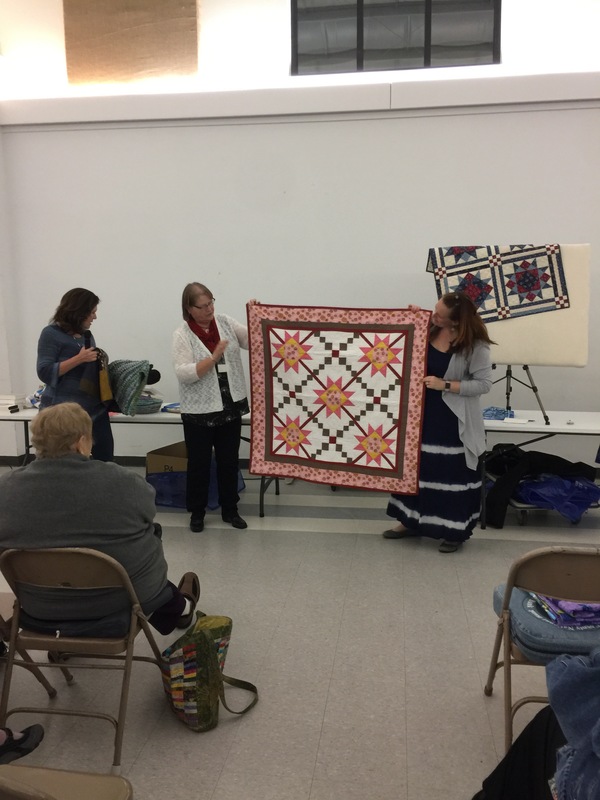 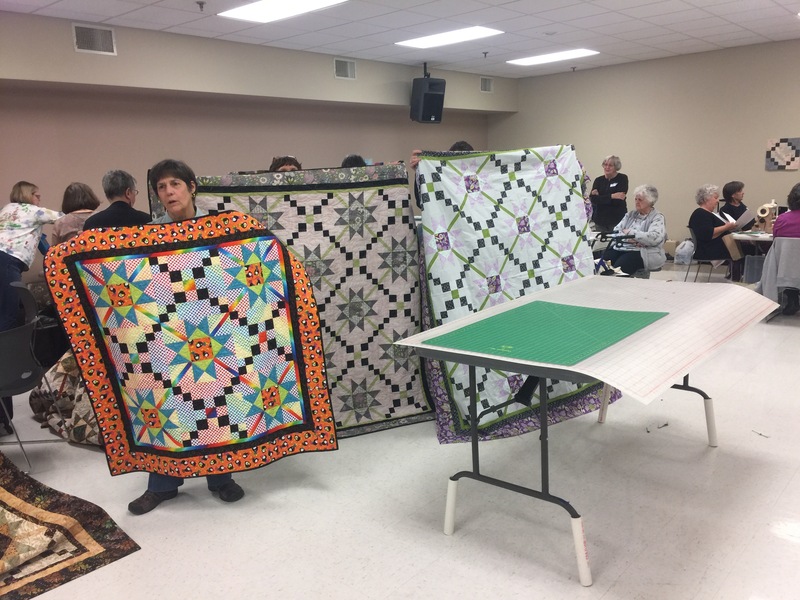 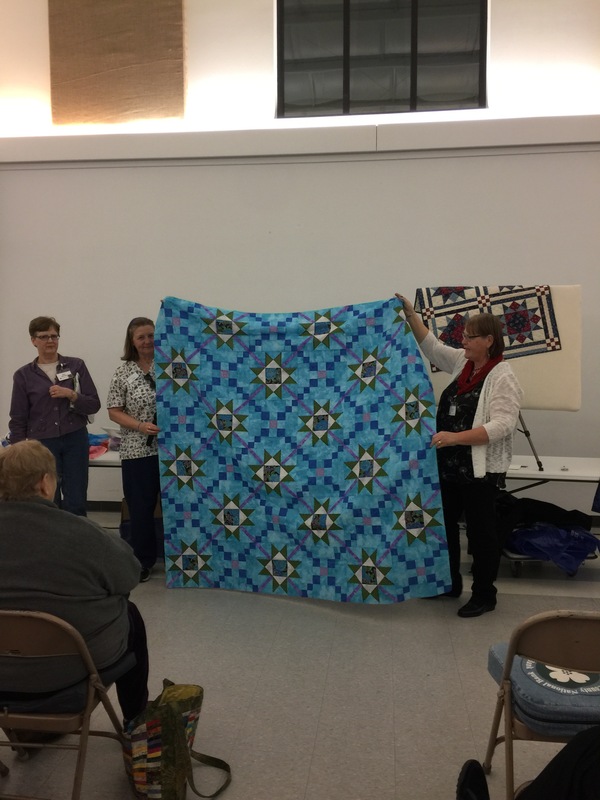 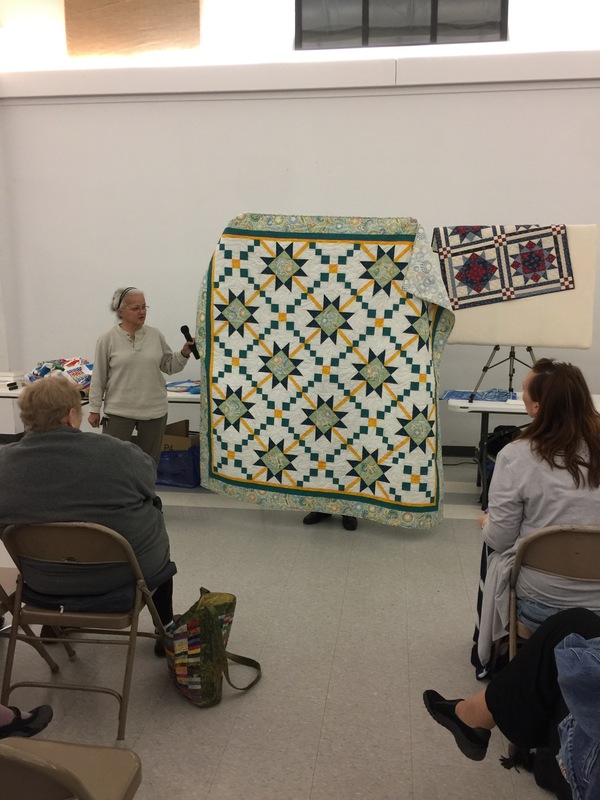 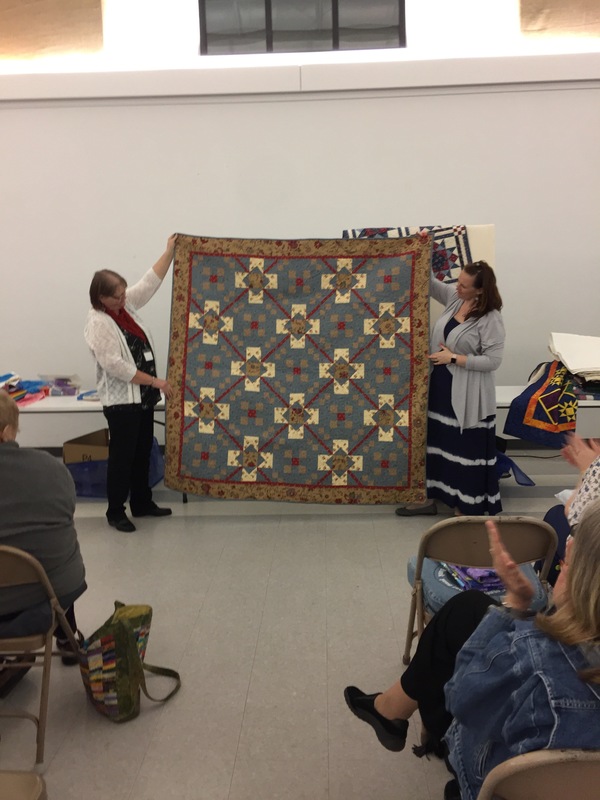 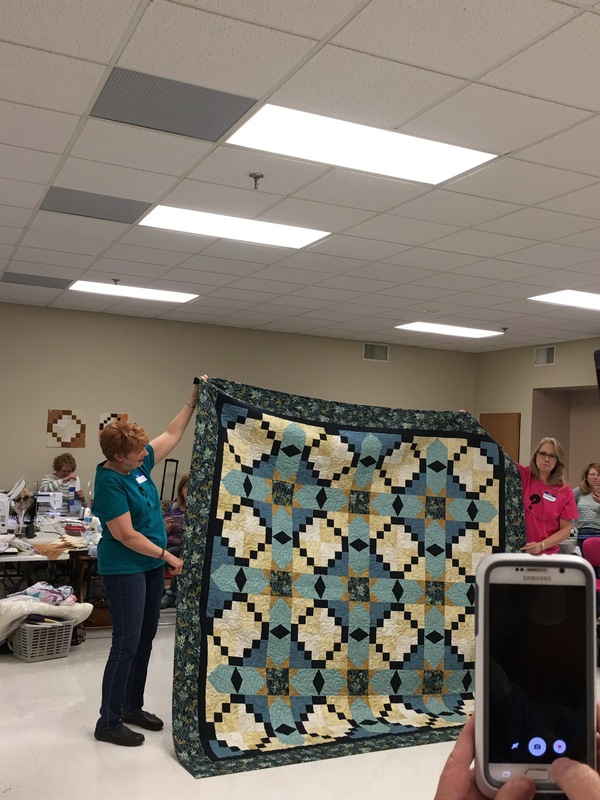 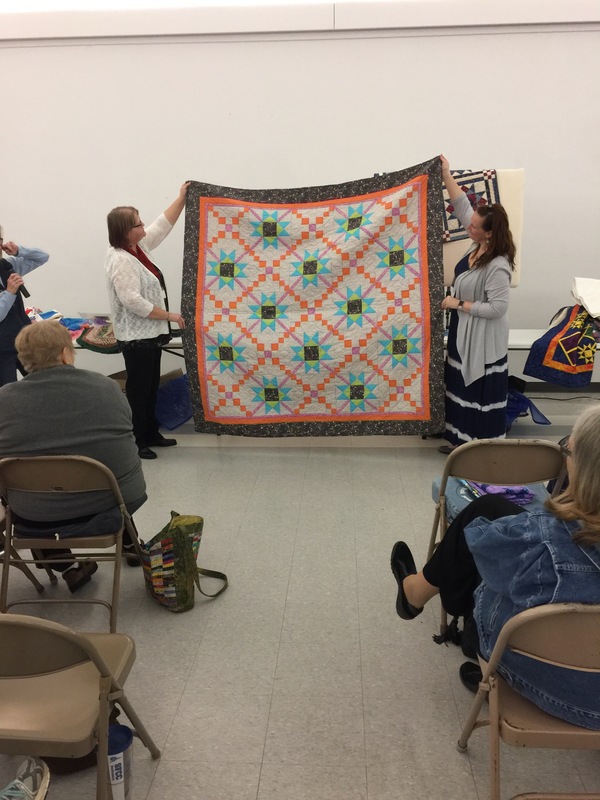 We held another lock in at the Booneslick Trail quilt guild in Columbia Missouri. 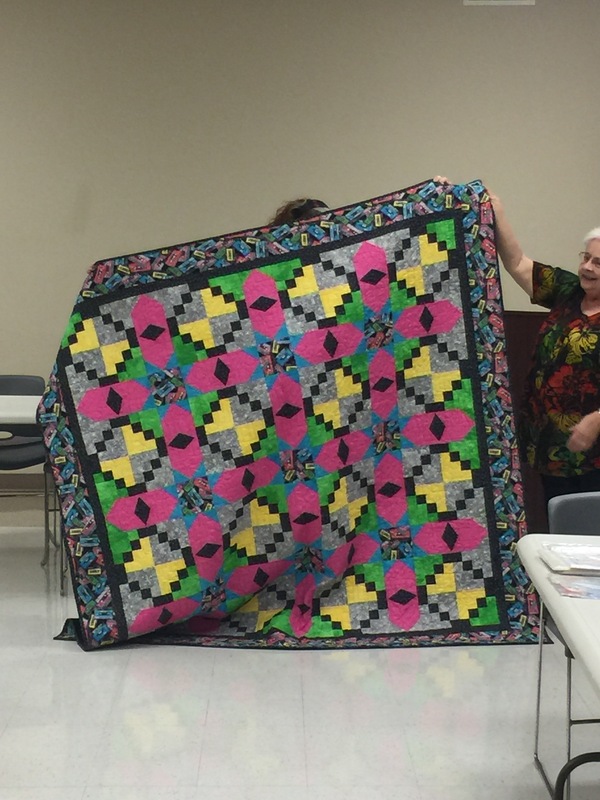 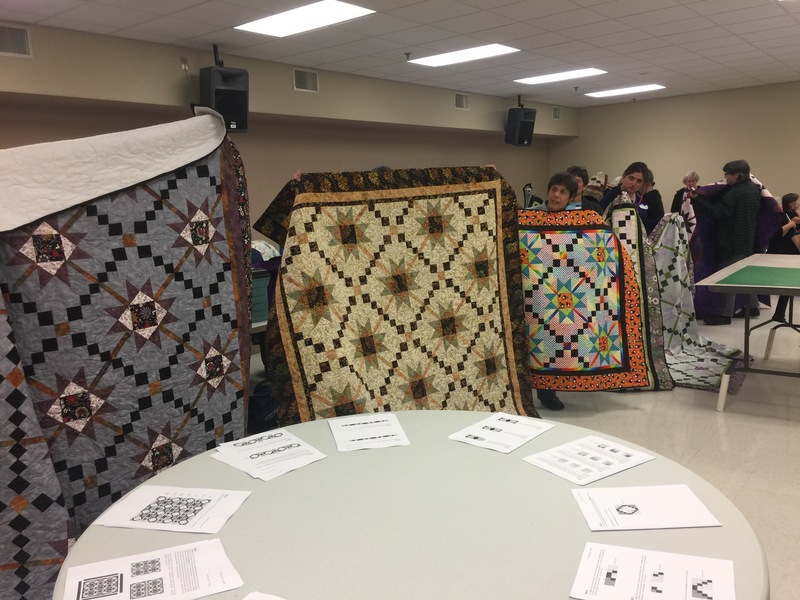 They had lots of show and tell from last years mystery quilt too!